Cereal Box Investigation - In this lesson, students will design a cereal box and persuade students to purchase their cereal. Media Literacy - In this lesson, students will evaluate various media sources to identify how they influence thoughts, feelings, and buying behaviors. Understanding Commercials - This link provided educators with materials and lessons to help young children understand the purpose of TV commercials. 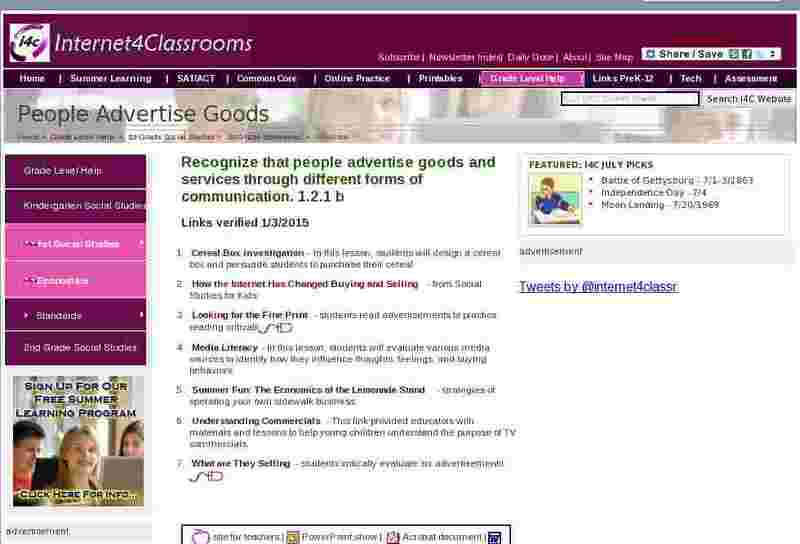 What are They Selling - students critically evaluate six advertisements .